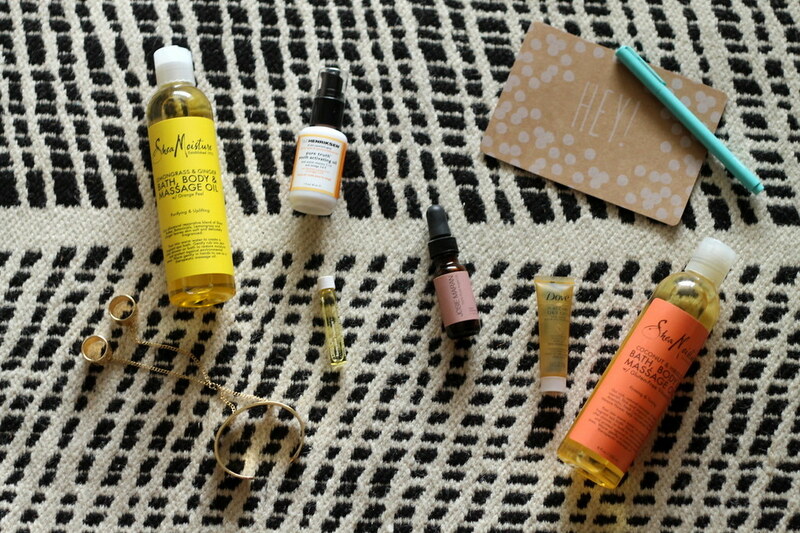 If 2014 was known for anything in the beauty world, I’d definitely call it the year of the oil. Facial oils, hair oils, body oils — they’ve been everywhere this year. I don’t know about you, but the idea of putting oil on my face freaks me out. Hello, breakout city. Same with hair; why would I want to put oil on something that’s going to get greasy in the next two days? The idea of using an oil seemed pretty counterproductive. Being the style and beauty blogger I am, I decided to dip my toe into the trend pool to see what the fuss was about. First up: hair oil. After watching multiple tutorials on YouTube, I used Josie Maran’s argan oil (in a small sample I received at Sephora) on the ends of my hair. Miracle. Worker. Now I don’t go a day without putting oil on the ends of my hair after I shower. My hair is naturally pretty dry because it’s curly, and I’ve noticed the ends of my hair seem so much healthier since introducing hair oil into my routine. Finally, I wanted to tackle facial oils. These were definitely the scariest for me; hair oils and body oils are easily washed off with little to no damage. But if I broke out because of facial oils? No, thank you. As it turns out, I’ve loved the facial oils I’ve tried and have replaced my nighttime moisturizer with a facial oil this summer. No, I did not break out. No, my face did not become more oily. In fact, I think my skin felt better and seemed healthier all summer because I used an oil. I’m interested to see how an oil will work when deep winter hits. Stay tuned for that post in a couple months! Below are my favorite oils I’ve used so far and ones that come tried, true and highly recommended. Happy shopping, and have a good weekend!